Summer is quickly coming to an end. After a full summer of fun and adventure, it is time to double check the single most important feature on your vehicle for your safety. Next on our Summer Car Care Series list: check your brakes. You hear loud grinding and scraping noises when you step on your brakes. Your brake pedal rests higher or lower than normal. Your brake pedal is very soft and mushy when you step on your brakes. Your brake pedal is very resistant when you step on your brakes. A brake warning light pops up on your dashboard. If any of these instances occur, your brakes should be checked by a professional to make sure your brake pads are not worn out. If your brake pads do not meet the minimum thickness required for safety, they will need to be replaced. End of summer is a good time to have your brakes checked even if you do not notice any of the warning signs. 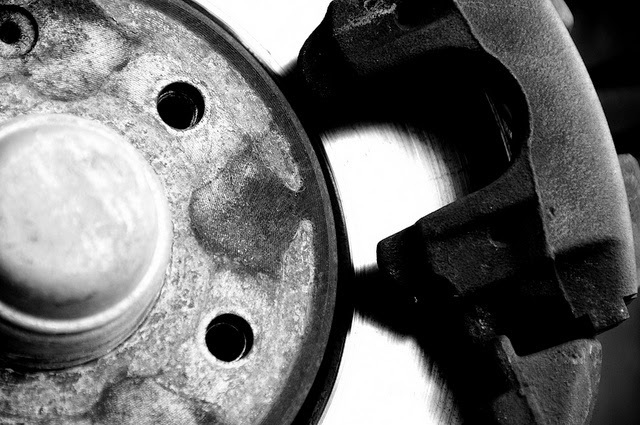 Brakes are so important to your safety, that it is vital to stay on top of the condition of your brakes. Jiffy Lube of Indiana is also here to help. Select locations can check the status of your brakes and let you know if they are safe or in need of changing. Jiffy Lube of Indiana always places the safety of you, your family, and your vehicle above all else.